"My dear daughters, many of our holy fathers in the faith, men who were pillars of the Church, did not die martyrs. Why do you think this was?" Each one present offered an answer; then their mother continued. "Well, I myself think it was because there is another martyrdom: the martyrdom of love. Here God keeps his servants and handmaids in this present life so that they may labor for him, and he makes of them both martyrs and confessors. I know," she added, "that the Daughters of the Visitation are meant to be martyrs of this kind, and that, by the favor of God, some of them, more fortunate than others in that their desire has been granted, will actually suffer such a martyrdom." One sister asked what form this martyrdom took. The saint answered: "Yield yourself fully to God, and you will find out! Divine love takes its sword to the hidden recesses of our inmost soul and divides us from ourselves. I know one person whom love cut off from all that was dearest to her, just as completely and effectively as if a tyrant�s blade had severed spirit from body." We realized that she was speaking of herself. 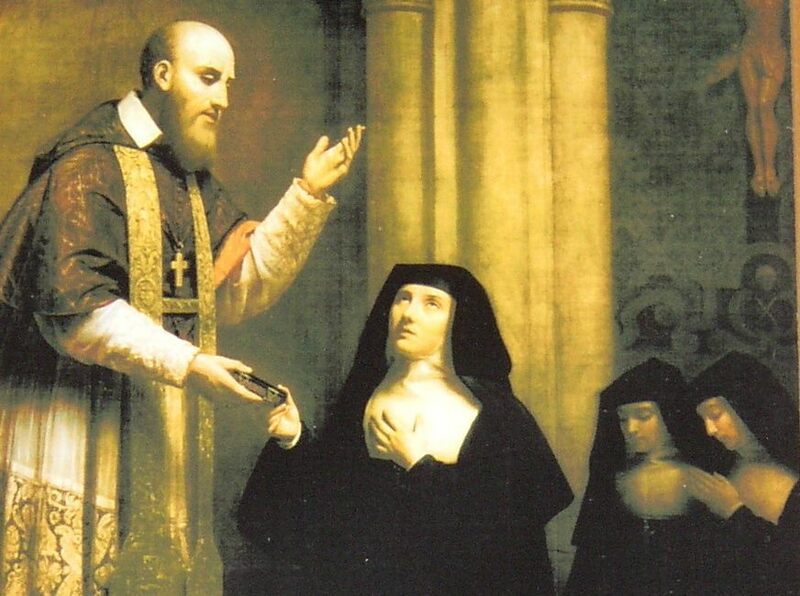 When another sister asked how long the martyrdom would continue, the Saint replied: "From the moment when we commit ourselves unreservedly to God, until our last breath. I am speaking, of course, of great-souled individuals who keep nothing back for themselves, but instead are faithful in love. Our Lord does not intend this martyrdom for those who are weak in love and perseverance. Such people he lets continue on their mediocre way, so that they will not be lost to him; he never does violence to our free will." Finally, the saint was asked whether this martyrdom of love could be put on the same level as martyrdom of the body. She answered: "We should not worry about equality. I do think, however, that the martyrdom of love cannot be relegated to a second place, for love is as strong as death. For the martyrs of love suffer infinitely more in remaining in this life so as to serve God, than if they died a thousand times over in testimony to their faith and love and fidelity." while you look on in loving simplicity." continual, very powerful prayer before God."